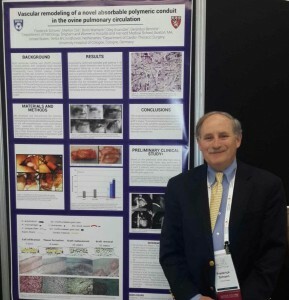 Xeltis wraps-up a notable week with results from in-vivo studies of its bioabsorbable pulmonary graft presented today by Professor Fredrick Schoen from Harvard Medical School, Boston, at the 10th World Biomaterials Congress (WBC) in Canada. The one-year data showed the results of Endogenous Tissue Restoration (ETR) enabled by the Xeltis device and led to initiation of the first-in-man trial of the bioabsorbable pulmonary graft, results of which have been presented at AATS annual meeting on Tuesday this week. WBC is the largest gathering of biomaterial researchers charting the future of the field.